When it comes to the topic on obesity, no one mentions genetics. But when a Kenyan athlete wins a major marathon race, people are quick to credit it to their genes and tend to stress this much more than they should actually be doing. They should rather be focusing on the way of life, the training programs, and the food these Determined Runners eat. It seems that “genetics” has been used in a way to imply that the Kenyan athletes naturally have some physical advantages over the rest of the athletes in other parts of the world when it comes to the middle and long distance running. I am not going to dispute that, but the main aim of this article wasn’t to discuss the body organs of the Kenyan runners that are perceived by many to be different. 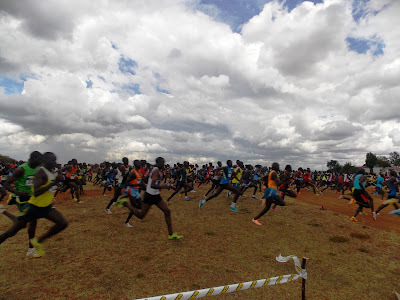 It is to break down the most staple food among the Kenyan athletes, their environment, lifestyle and feeding habits, to see if they have anything to do with their success in running. The human body is known to adapt to different conditions it is subjected to. For anyone out there in doubt, come to Kenya, train with the Kenyan athletes, eat what they eat and live in the same conditions with them. If you will manage to stick to their training regime for at least six months, I assure you that you will be able to achieve a lot in your running career. Ugali, which is a paste made in boiling water from dried and milled maize (corn) flour, is the most stable food in Kenya and is the main source of carbohydrates. It also has Protein, Fibre, Vitamin B-6, Vitamin E, Calcium, Copper, Folate, Iron, Magnesium, Manganese, Pantothenic Acid, Phosphorous, Selenium and Zinc. Dark green and indigenous vegetables come in third as the most common food among the Kenyan runners. Porridge, made mostly from millet or sorghum flour, is also common and taken around 5pm, after evening workouts or in the mid-morning. Tea occasionally may substitute the porridge here. Fruits such as bananas, oranges, water melons, among others, are also very common but not necessarily taken by Kenyan runners on daily basis. Tea (with whole milk and sugar in it), bread, boiled eggs and pancakes made mostly from whole grain wheat flour. Include rice, potatoes, beans (mostly kidney beans), spaghetti, pumpkins and green grams. Include ugali, green vegetables, fresh milk, sour milk (mursik) and meat. These foods alone cannot make one lean and strong. Kenyans are used to hard and perhaps harsh living conditions from their childhood. Most of the athletes used to walk long distances to and from their primary schools. At home, herding cows, sheep and goats was one of the most demanding tasks that required one to run up and down after cattle that occasionally strayed. Many trips had to be made to the river to fetch water to be used at home and also for the calves to drink, etc. Such background upbringing is manifested in the way the Kenyan athletes train, and run. Some, at times, term their way of training as “brutal”. It has been observed that individuals who lived active lives in their younger years have their VO2 max greater by 30 percent than those who grew up under different circumstances and I guess this is the reason others would label the way Kenyan athletes train as “brutal” because it takes time to train the body to endure the demands of long distance training. 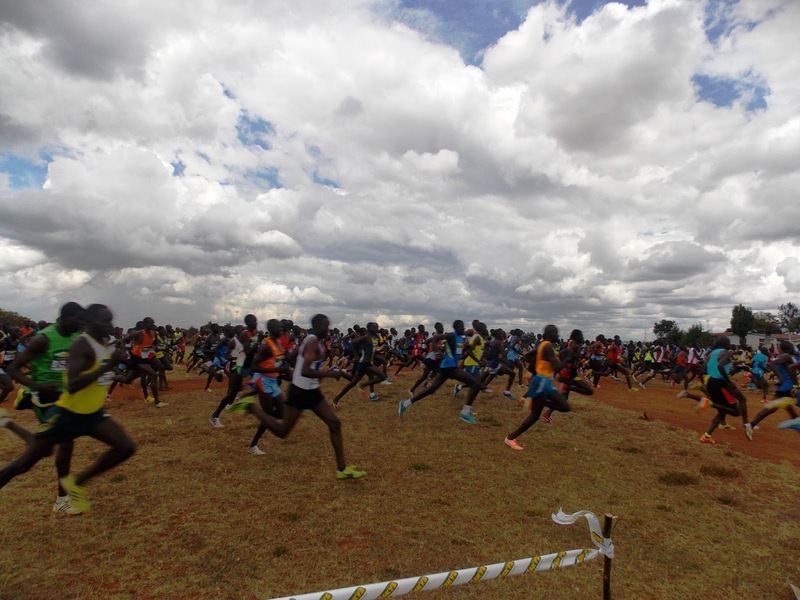 Well, to a talented Kenyan runner training may be hard, but not brutal. In fact, most Kenyan athletes enjoy their training very much. “Slow down!” “Please, control your pace!” “Too fast!” “Step on grass” is the common words you will hear a coach shouting to these athletes during their workouts. I remember many instances when coach Gabriele who worked with the Gianni Demadonna management and who trains Mary Keitany, among many other top Kenyan athletes in Iten, had to step on the track to stop his athletes running faster than the times he wanted them to run, and would give them warnings that if they repeated the same mistake of running faster, then he would have no choice but to cancel the training workouts for the day! What a punishment! Depriving these athletes the joy of doing what they enjoy doing the most - their “brutal” training! 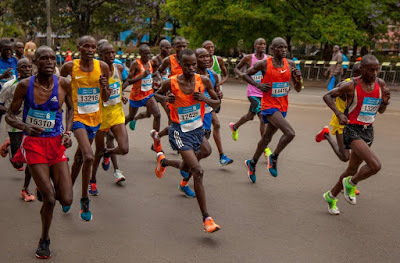 The fact that Kenyan runners dominate long distance running and not all other endurance sports, like cycling and rowing, is one of the reasons that should hold one from buying the idea of genetics. If indeed the lungs of the Kenyan athletes were relatively larger, their muscles more efficient at utilising oxygen and their bodies having a special gait for running, coupled with their hard training, then we would be talking about a different story altogether! 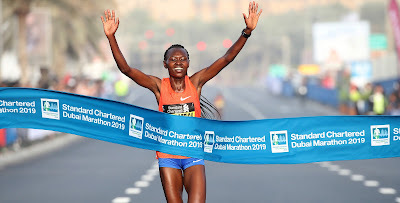 I believe that it is rather the lifestyles of the Kenyan runners, the food they eat, how they train, the pedestal where running has been placed in the country and the availability of opportunities to run and train puts Kenyans ahead of the rest in matters to do with running.